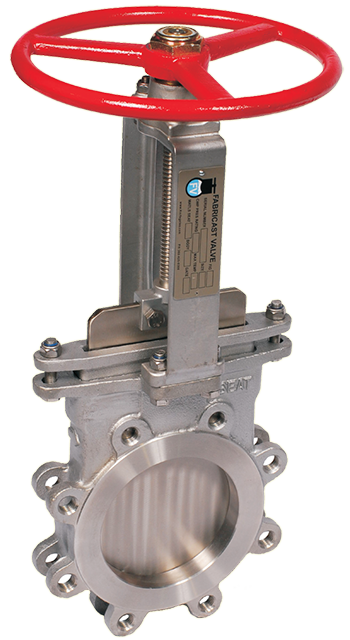 The Fabricast FIG 40 is a metal seated, uni-directional knife gate valve. Designed and tested to MSS SP81 and ASME B16.5 specifications. Heavy Duty Cast CF8 304 Stainless Steel Body, Packing Gland, Yoke, Stemnut Retainer and Gate Clevis. 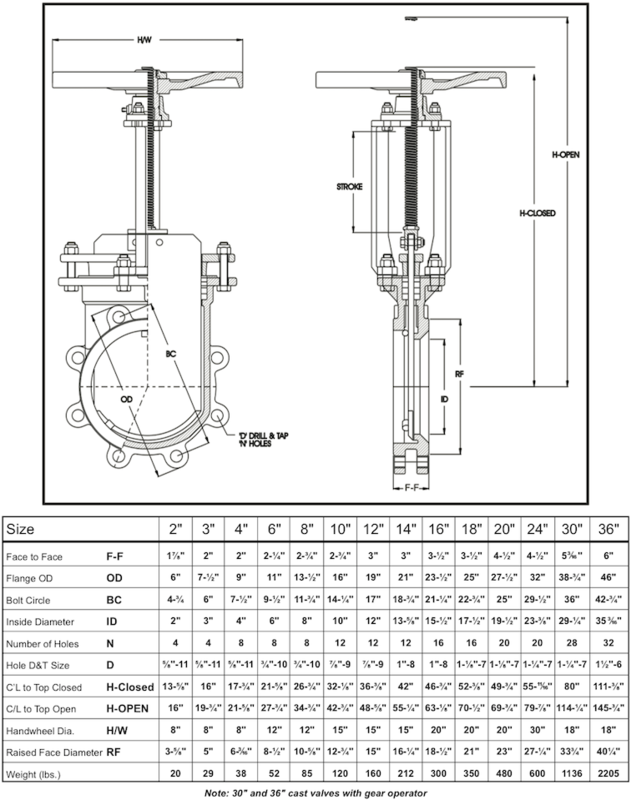 Sizes larger than 24″ are available in a fabricated and welded design. Precision Cnc Machined Valve Body And Stem. ASTM A 240 304 Stainless Steel gate fully machined, beveled and surface ground. All edges are chamfered to extend packing life and to provide a superior atmospheric seal.